Concrete dreams: Don’t be unrealistic about your assumptions. Should you buy a house only so you can move into it, or is real estate a good alternative investment to stocks and fixed deposits (FDs)? Either way, considering the course correction in real estate in India at present, investing in a property is a sure path to wealth creation. If you are looking to buy a house into which you can move in straightaway, there is never a wrong time. The bottom line is: You can never time the market. If you have zeroed in on a property that fits your budget, don’t delay signing on the dotted line. This is about as good a time as the interest rates are relatively low and home prices are 20-25% lower than what they were a year and a half ago. If you are considering buying real estate as an alternative investment, be aware that this is a long-term asset. Don’t be unrealistic about your assumptions on being able to flip this asset at a profit over the next 12-18 months. It is unlikely that you would make any profit after taking into account all transaction costs, such as stamp duty and brokerage, that are typically associated with a real estate deal. While it is tempting, you should weigh other investment alternatives and factor in a realistic time horizon for a property as an investment buy before taking the plunge. • Transaction costs: For instance, the brokerage fee to the intermediary. If you have made a gain on the sale, it is likely that there will also be a resulting capital gains tax liability. 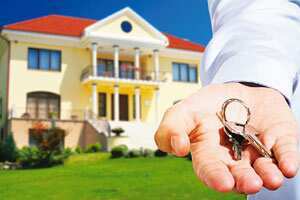 You will also incur expenses related to stamp duty at the time of the transfer and registration costs of the property. • Liquidity: Unlike stocks that you can sell readily and convert into money within a couple of days, buying and selling property takes time. It’s not always easy to offload property on your terms. • Cash: Property investments are not always the cleanest when it comes to the cash versus cheque component for deals. Unlike mutual funds where Know Your Customer (KYC) norms require that the investment be made in cheque and the PAN (Permanent Account Number) card details be shared, real estate investments can have a huge cash component to them. This might not suit everyone. • The desirability of the location: This is the single most important criterion for valuing real estate. • The reputation of the builder and quality of construction: Properties by some developers are worth a lot more than others because of the quality. Don’t always go for the lower price because there could be huge execution risk. • The payment terms: Time-linked or construction-linked payment plans, and cash versus cheque components. This will have an impact on your cash flow. • Project approvals and licences: If project approvals have not come through, it might affect your ability to get a home loan. • Contractual guarantees: For assured return schemes, get a written guarantee from the builder and post-dated cheques in your name. Understand the delivery date of your project.